My new book launched on January 29th, unfortunately with little fanfare. I was in the frozen north on a business trip and had my hands full with the polar vortex, flight delays, and rental car flat tires. Yes, yes I should have had posts set up ahead of time. I have no excuses but the fact that I belong to a long line of procrastinators. To be honest, book launches make me cringe and I would rather be doing something else like playing Red Dead Redemption 2 (Sadly, I finished the game last week…sigh). So now that I can’t hide in the wild west, I’m coming up for air and plugging my new book. 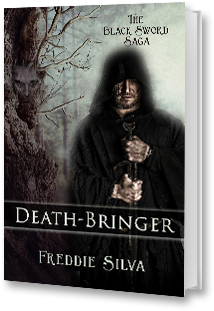 Death-Bringer is a coming of age tale about a farmer’s son who wants nothing more than to marry the girl next door and have babies. Of course, life never gives you what you want, so instead, he is sent away to be a warrior for the local lord. What could go wrong with that? So he runs into a scary intense commander, a crazy forest god, and a magic death sword. What farmer’s son couldn’t handle all that, right? Go ahead and read it to see for yourself. Of course, you can find it on Amazon (I’d have to be crazy not to sell it on Amazon right), but you can also find it on Kobo, Apple, Barnes & Noble, and other places I can’t even pronounce. 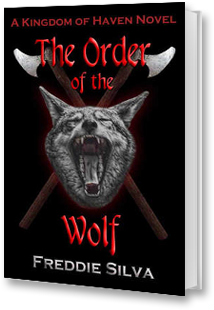 If your wallet is lean right now, go on over to Prolific Works where I’m giving away copies of The Order of the Wolf as part of the Fantastical SF group giveaway.